Our most common client questions are answered right here in our FAQ section. This includes (but is not limited to): following and/or monitoring people, places, and vehicles throughout various conditions and in both overt (such as escorting in plain sight) or covert (without the target being aware of our presence) operations. TSCM is the process of looking for electronic devices, transmissions or unauthorized monitoring (audio, video, data) in homes, businesses, vehicles and even worn on the body without the knowledge of the wearer. This includes both general Family Law related investigative matters as well as Domestic investigations as a whole. This includes all matters of criminal defence and the investigations that surround it. This includes corporate investigations as well as general businesses, sole proprietorship, and any relevant investigative matter in those areas. This includes undercover operations ranging from simple in house evaluations of staff performance to major international investigations relating to organized crime or terrorism. This includes security systems, camera installations, equipment reviews, etc. Basically anything that is electronic and meant to monitor you or monitor others. This includes harassment, sexual harassment, discrimination, labour disputes, and a number of topics that would also fit into the Corporate, Surveillance, or TSCM headings. This includes a variety of matters, such as Personal Injury, Missing Persons, General Locates, Sports / Athlete Tampering and more. Basically, anything that impacts one party or another from a civil responsibility / law perspective. This includes all forms of training offered by Axis Vero Incorporated. 1. HOW MANY INVESTIGATORS DOES IT TAKE TO FOLLOW SOMEONE? That is not a simple question to answer. There are many factors that impact successful surveillance ranging from environmental to circumstantial. It also depends on the number of targets to be monitored, the duration of time, the competency of the investigator(s), and the degree of discretion required by the client. In many cases, one (1) proven investigator is enough; however, depending on the factors noted, it can take two (2), three (3) or multiple teams to safely and consistently track target(s). Axis Vero evaluates each case to make sure that the proper number of investigators are utilized within the specified budget. Presurveillance is a service that AXIS VERO offers to clients in order to reduce lost time following false or outdated information. Presurveillance consists of taking all information provided regarding the target and conducting research to verify the subject’s location prior to starting surveillance. While it is not necessary in every case, it has been proven to save clients thousands of dollars by avoiding poor leads or conducting surveillance in the wrong place or at the wrong time. In some cases, we have found that surveillance targets are not in the country, are working in other cities or not living at the residence that was on file. It is much better to spend a nominal amount and succeed, than to avoid the due diligence and repeatedly fail with an increasing cost. 1. WHY SHOULD I CHOOSE AXIS VERO FOR RESEARCH? WHY NOT JUST DO IT MYSELF? AXIS VERO is a highly competent and efficient investigation firm with many years of experience and the highest level of diligence in “hunting” for information. We are renowned for our ability to provide the absolute TRUTH in every investigation. Whether your question is simple or highly complex, you can rest assured that we will find & report the truth. Many people think that they can make a couple of phone calls or internet searches and come up with the answer; however, in the majority of cases, our unique database access, information contacts, industry specific resources and highly skilled investigators make the difference between an approximate or unverified answer and the solid undeniable truth. We have seen many people show up in court only to lose face or strength in their case because their evidence was week or incomplete. Many people have come to us after trying themselves or having someone else unsuccessfully try to get the answer and ruined their own cases. AXIS VERO has an excellent reputation for getting accurate and comprehensive results fast and cost efficiently. 1. I HAVE A SWEEP TEAM THAT IS PERMITTED RANDOM SITE ACCESS ON THEIR SCHEDULE, MULTIPLE TIMES IN A YEAR. IS THAT NORMAL? Yes. Not all companies permit that level of access and scheduling; however, it is actually the best way to ensure that your site remains secure. By allowing the team to have random access, there is no chance that anyone will ever be aware of when they are coming and therefore there is no warning time for an unscrupulous party to remove any hidden equipment or devices. 2. HOW CAN I CONTACT YOU WITHOUT LETTING WHOEVER COULD BE MONITORING ME FIND OUT? Avoid contacting us using any computer, phone or electronic device that you believe could be being monitored. Fax machines are not secure and should not be used either. Borrow an alternate phone from someone you trust, use a payphone or public phone, or use a different email then you normally would from a public terminal (like a library). You can use a digital cellular phone if you have no other options. Ultimately, be careful not to discuss anything in too much detail unless you are comfortable that the method you are using is not being monitored. 3. HOW MUCH TIME DO I HAVE TO BOOK A SWEEP? It is always best to act quickly in securing your sweep team and if possible getting them into the potentially compromised area; however, if you need some time to get organized or in order to ensure their are no employees or other people present, that is okay. Once you have a notion that you are being monitored, be careful what information you discuss by phone, text or email until the technician (or team) has had a chance to complete their inspection(s). 4. DOES IT REALLY MATTER WHICH COMPANY I HIRE TO PROVIDE TSCM SERVICES? Yes, it really does matter who you choose to perform your TSCM bugsweep. There are major factors that affect a sweep team: 1) Professional TSCM equipment is needed for the job; 2) All equipment needs to operate in an effective range in order to find the problem; 3) This equipment and the upgrades tend to be very costly; 4) Technology is always changing and so the equipment needs frequent upgrading; and 5) The team needs to actually be capable of the task at hand. 1) The majority of companies (security and investigation) or individuals (licensed or not) operate on a very limited budget for TSCM (especially when starting out). The most accessible equipment and subsequently the cheapest equipment can literally be purchased on eBay or other similar sites and is almost never effective in proper detection. I have seen many “professionals” claim to provide a “solid solution” only to find that their equipment has NO value to the customer. AXIS VERO avoids this pitfall because we maintain solid inspection relationships with the top service providers and equipment / software developers throughout the industry and as such we have access to the highest quality equipment for each inspection. 2) There are companies currently offering sweep services to major clients (including banks and politicians) that rely upon outdated equipment (like the OSCOR 5000 (discontinued by the manufacturer REI); which at one time cost in excess of $50,000.00 (including upgrades and probes) and has an effective range of up to 3.0GHz. To put that into perspective for you, the average cordless phone in the common residence currently operates at 5.9GHz. That’s right! The sweep equipment isn’t currently capable of finding the average cordless phone. That is NOT protection. AXIS VERO conducts its inspections within the necessary ranges for the job at hand. 3) A legitimate TSCM team can easily spend in excess of $200,000.00 of dollars on the necessary equipment. Most companies offering these services actually spend between $500.00 and $2,500.00 for their entire kit. These companies tend to “impress” the client with one or two very “technical looking” devices and then supplement this kit with multiple brief cases and / or toolboxes of contractor tools, etc. AXIS VERO maintains a complete kit for any occasion but only brings what we need into your site. It’s not about impressing you…it’s about protecting you. 4) Most inspection teams do not have the workload to justify training costs, equipment upgrades and / or software upgrades necessary to be capable of detecting the latest devices. AXIS VERO regularly maintains and calibrates our equipment and we remain at the forefront in training and conducting inspections.  In some cases, our clients have opted to purchase their own equipment but do not have the experience or training to operate the equipment effectively themselves, in those cases, AXIS VERO will operate their equipment for them. Under these circumstances, any limitations of the equipment are disclosed to the client prior to commencement of the inspection(s) and Axis Vero cannot accept any liability for devices operating outside of the capability of their equipment. 5) It is very common for a provider to claim they have Military, RCMP, CIA, or Police professional on staff that conducts these sweeps; however, clients very rarely conduct due diligence on their service providers and these claims are never verified. There are very few truly qualified inspection technicians in this industry, AXIS VERO is among them. Not finding what you are looking for?  Reach out directly through our Contact Us page.